Our brewmaster, Al, brews beautiful beer! Our brewmaster is an avid home brewer and craft beer enthusiast with a thirst for creating great tasting, preservative free beer. And don’t let his cheerful personality fool you – he makes a mean brew! 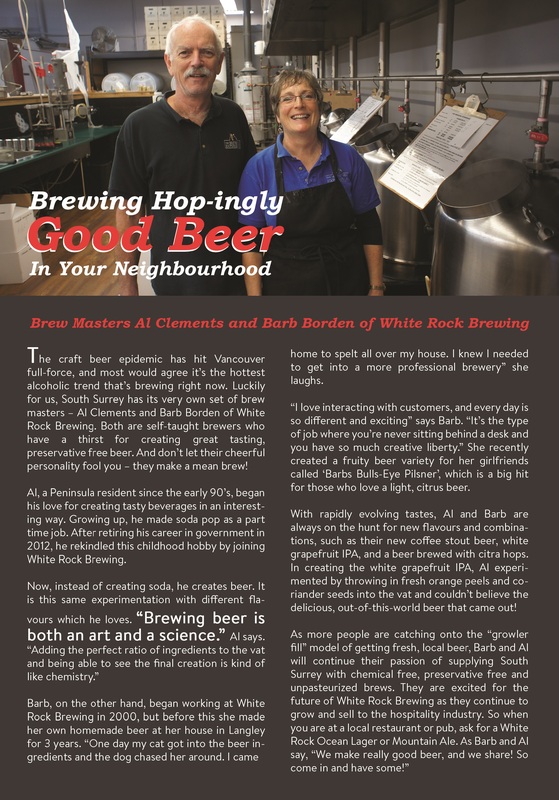 With rapidly evolving tastes, he is always on the hunt for new flavours and combinations, such as his new coffee stout beer, white grapefruit IPA, and a beer brewed with citra hops. In creating the white grapefruit IPA, Al experimented by throwing in fresh orange peels and coriander seeds into the vat and couldn’t believe the delicious, out-of-this-world beer that came out! You love drinking great beer, we love brewing great beer!